Most people don't know this but I'm a (un)professional shotgun rider in a carpool. As shotgun rider, it is my responsibility to ensure that my friends are entertained, so I tend to scour the internet to find new music. I'm not sure if this makes me qualified to be a music reviewer, but i still feel the need to spread the word about these artists. 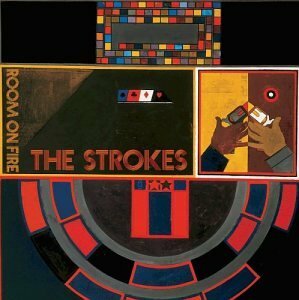 Their second album however, 'Room On Fire' is my least favourite album. It only has 2 songs I enjoy, 'Reptilia' and '12:51'. I tried to like the album but I couldn't bring myself to do so. Their third and fourth albums managed to keep my interest in the band. The third 'First Impressions Of Earth' featured some more great songs like 'Juicebox', 'Evening Sun', and 'On The Other Side', but I didn't find many songs I was in love with. 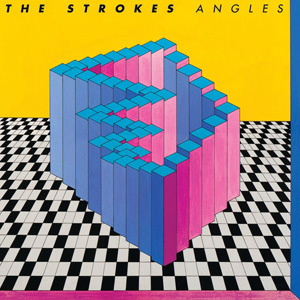 Their fourth album 'Angles' was better than the third, as it had better songs like 'Taken For a Fool', 'Metabolism' and 'Two Kinds Of Happiness'. But 'Angles' provided me with my favourite Strokes song which is 'Under Cover of Darkness'. Overall, they are a great band and I hope to see more from them in the coming years. If only the members wouldn't keep running off to do their own stuff, maybe we would have another album by now.